Gavin has reasons to hate the Wise Man-he killed his mother (in Gavin's past and the Wise Man's future). Gavin is also none to happy that it would seem the Wisen are after Rory. Alexis is getting more and more irritated at being out of the loop, and the Wise Man seems to find both her and Gavin rather insignificant. 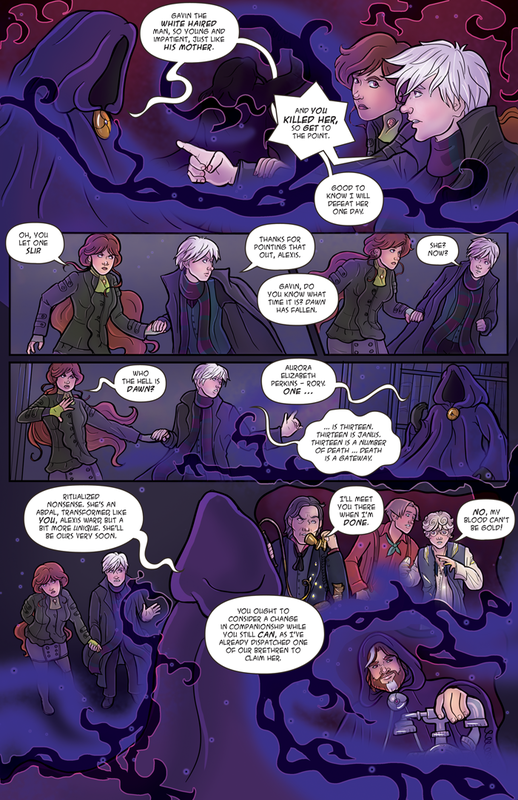 Gavin continues so cryptic behavior, while getting more paranoid at the Wise Man's glowing black tendrils of magic.